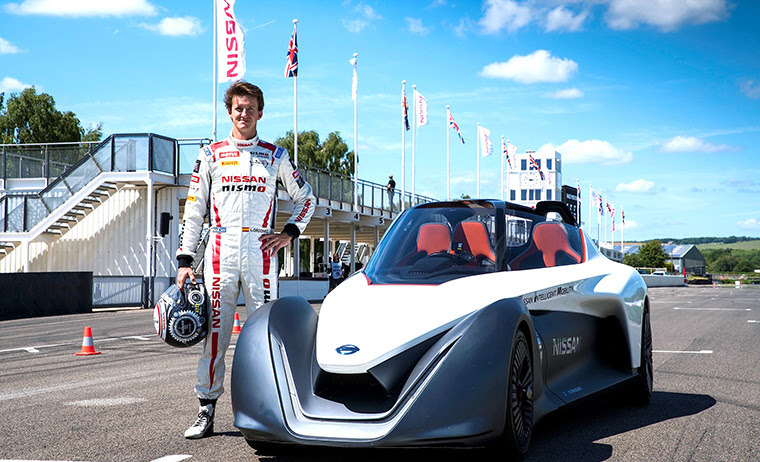 Nissan has been to Goodwood to showcase its BladeGlider, the culmination of 70 years in the electric vehicle industry. Exactly 70 years after the debut of its first electric vehicle (EV), Nissan’s most advanced EV ever – the Nissan BladeGlider sports car – took centre stage at this year’s Goodwood Festival of Speed. The 100% electric prototype spent Goodwood festival weekend in the thick of the action, with electrifying performances on the famous Hillclimb course. The culmination of the weekend was a test session on the historic Goodwood Motor Circuit. Putting the all-electric BladeGlider through its paces was NISMO driver Lucas Ordóñez, who became the first professional racing driver to take the wheel of the three-seater. Ordóñez, a former winner of Nissan’s GT Academy competition to turn computer gamers into racers, was thrilled by the opportunity to test-drive the BladeGlider. Nissan’s EV success story began in 1947 – exactly 70 years ago – with the launch of the Tama. This pioneering four-seat EV was available as a passenger car and a van and offered customers a range of 65 kilometers on a full charge. It was initially developed by the Tokyo Electro Automobile Company, which later became part of Nissan. Since the debut of the Tama in 1947, Nissan has established a rich heritage in zero-emission technology and EVs. It pioneered the EV revolution with the launch of the world’s first mass-market 100% electric passenger car, the Nissan LEAF, in 2010. The new second-generation LEAF will make its world premiere on September 6th this year.